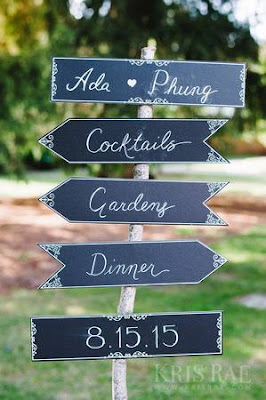 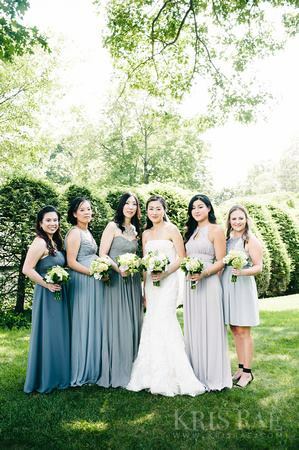 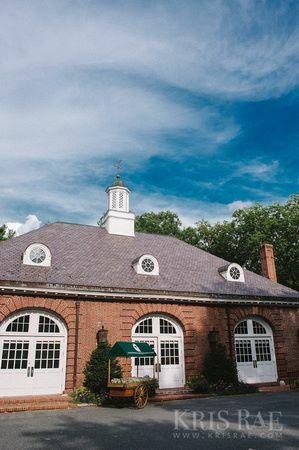 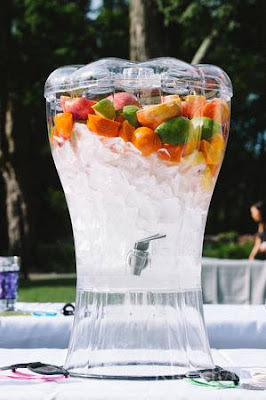 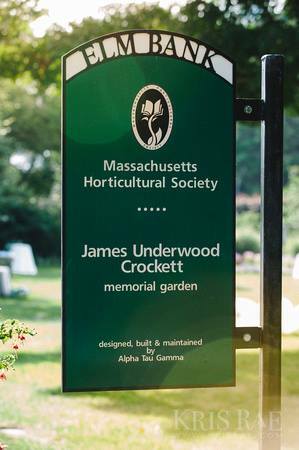 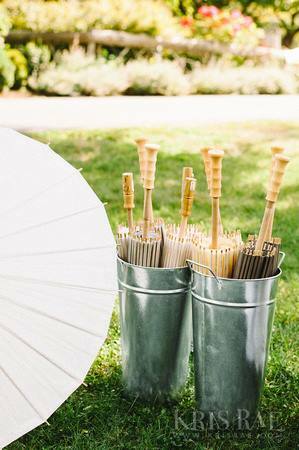 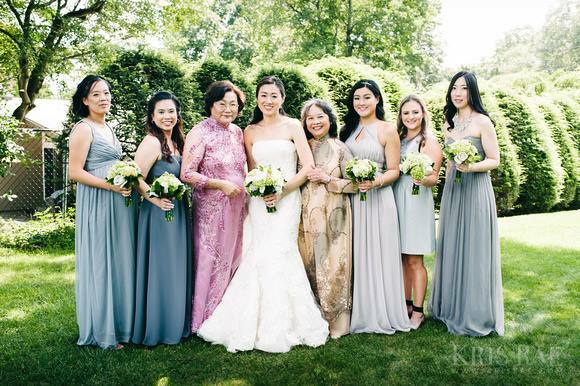 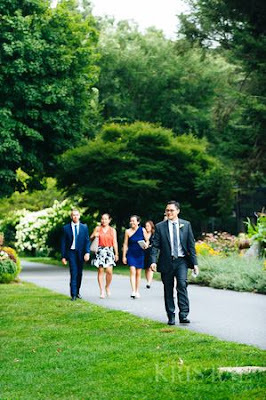 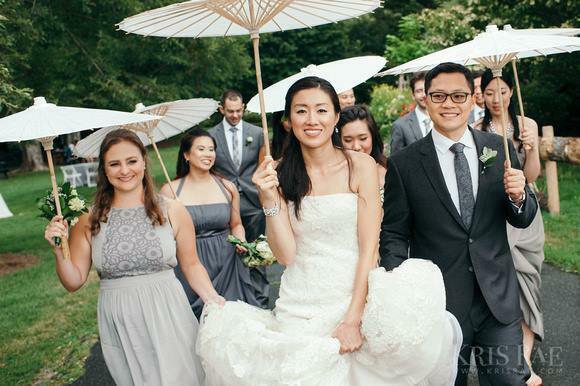 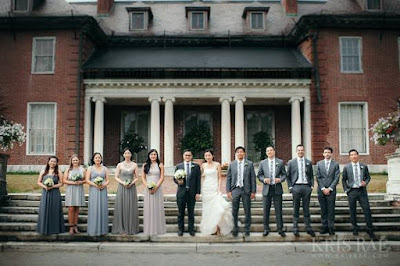 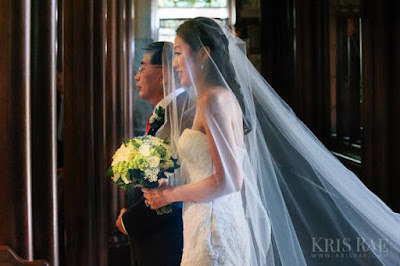 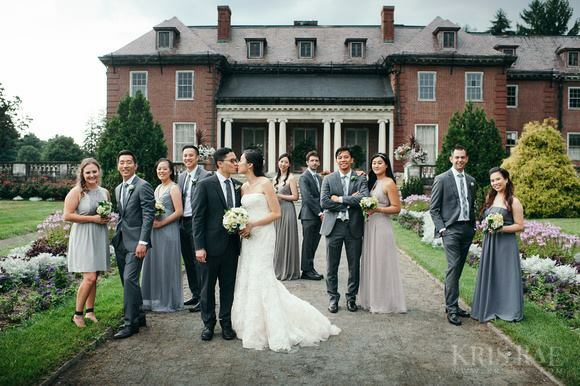 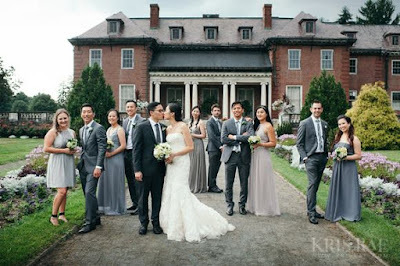 Ada and Phung celebrated their elegant wedding this past August at The Massachusetts Horticultural Society Gardens at Elm Bank in Wellesley, MA. 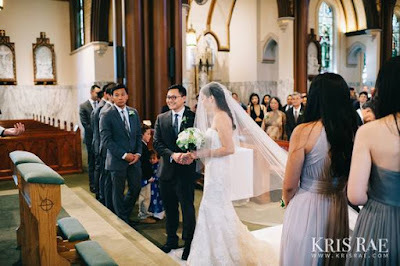 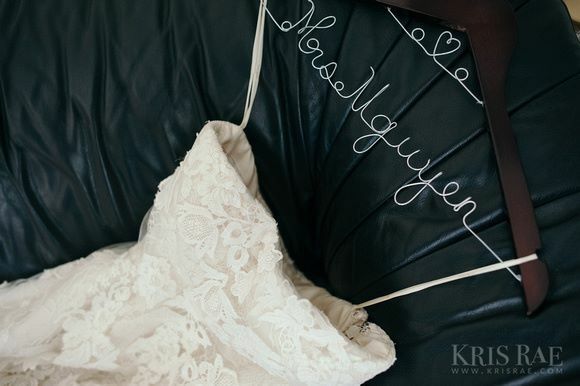 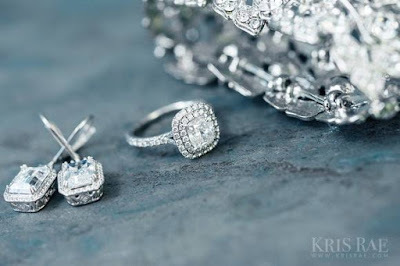 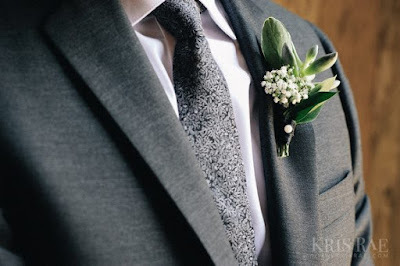 I think it's safe to say I've fallen in love with A&P's wedding and looking back at these pictures taken by the talented Kris Rae Photography reminded me how much fun we had coordinating it. 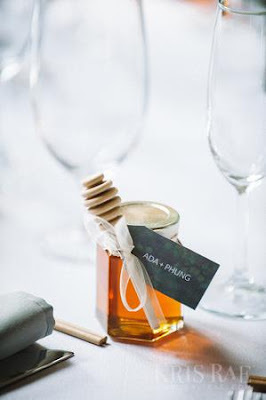 Ada and Phung's guests were treated to all types of scrumptious-ness for cocktail and dinner hours. 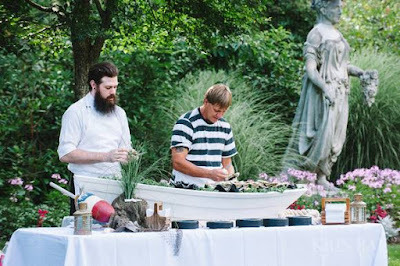 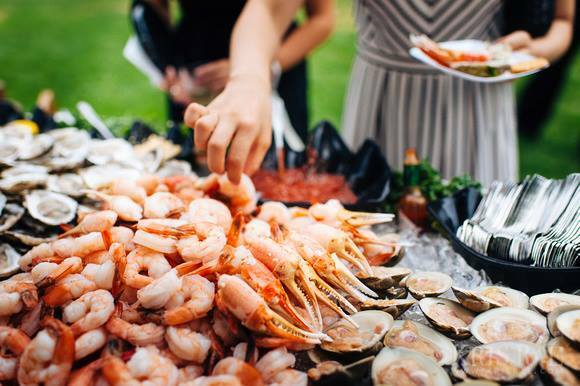 There was a beautiful seafood raw bar set up along with options from barbecue and Vietnamese food for the entrees. 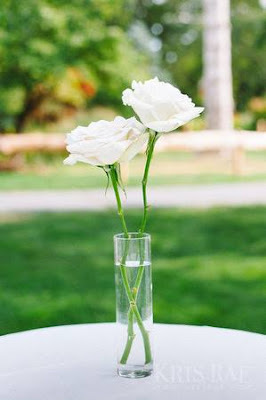 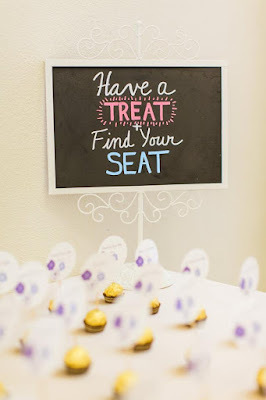 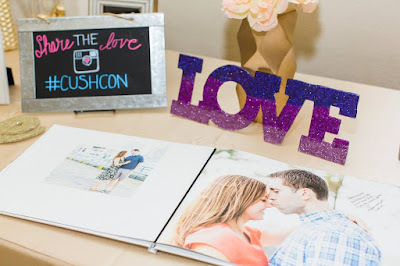 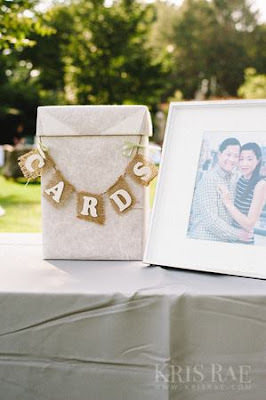 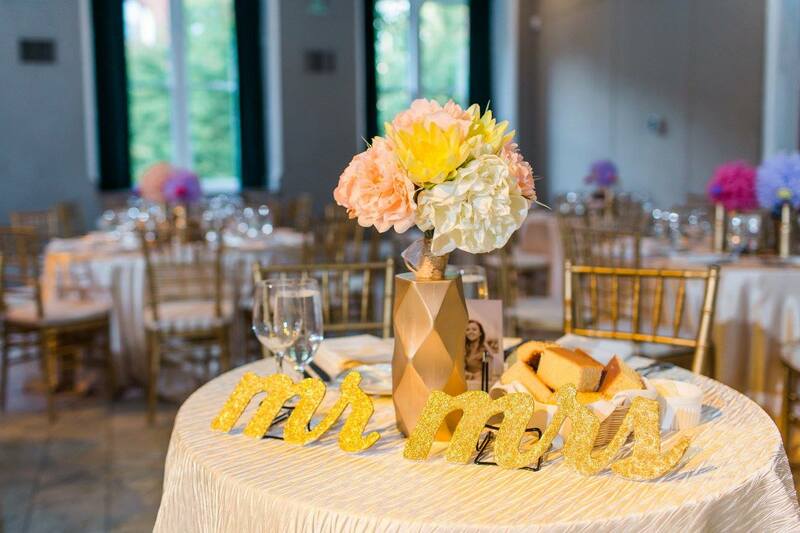 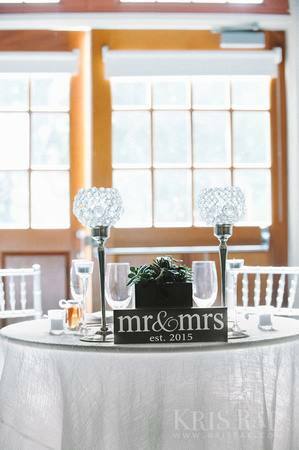 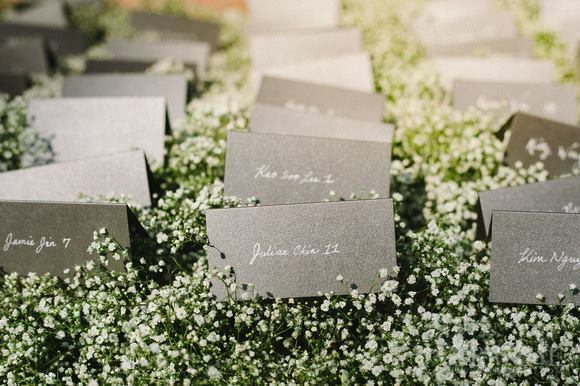 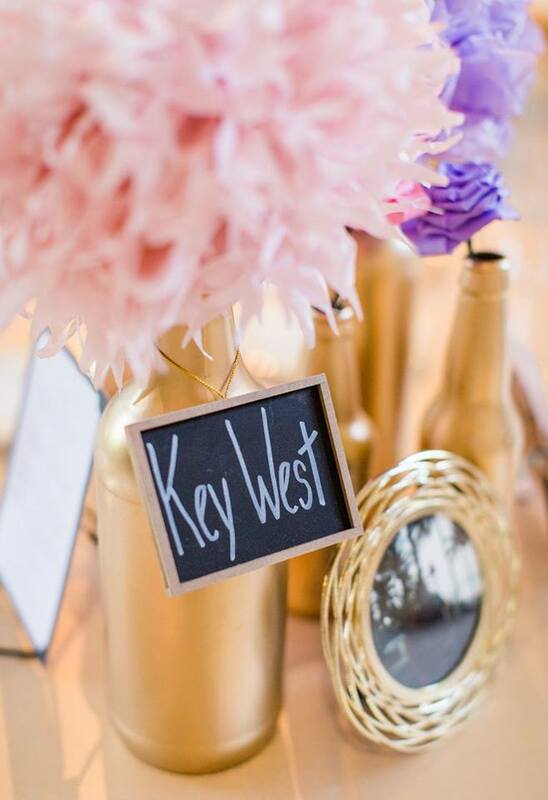 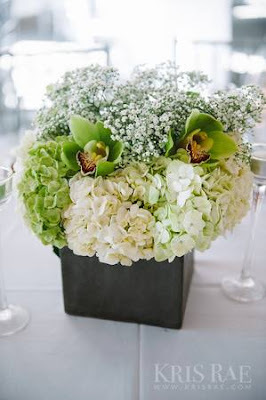 Everything from the floral to the adorable diy honey favors were just beautiful. 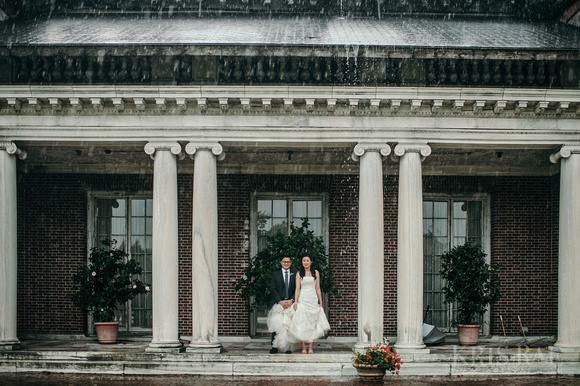 Even with the pouring rain and lightning through out the day, Ada and Phung really were such troopers and enjoyed the night with their loved ones. 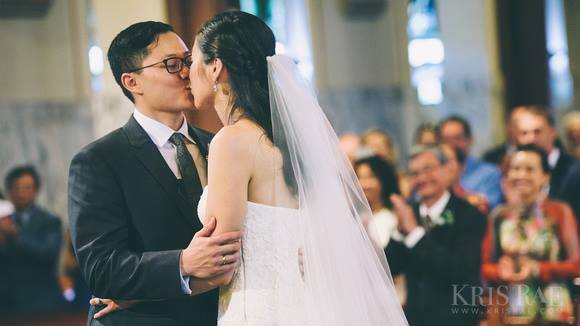 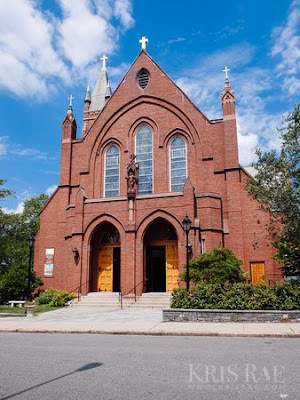 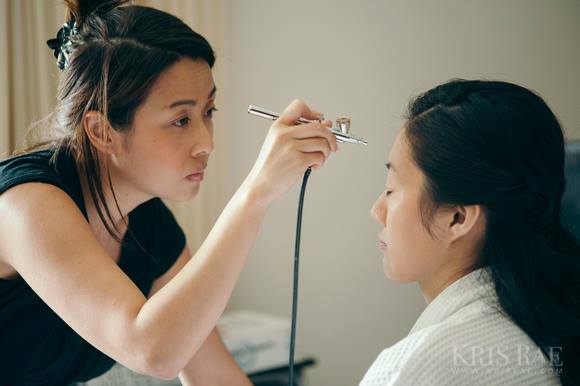 Thanks to Ada and Phung for allowing us to coordinate your wedding day and to all the wonderful vendors for making this day so special for our couple. 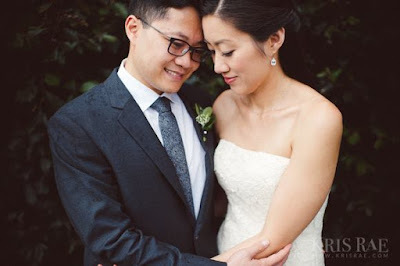 We absolutely adore working with you both! 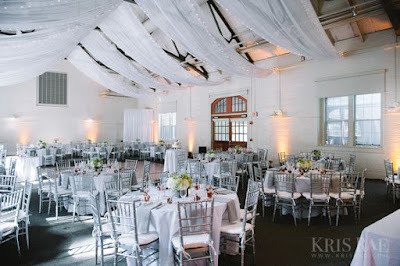 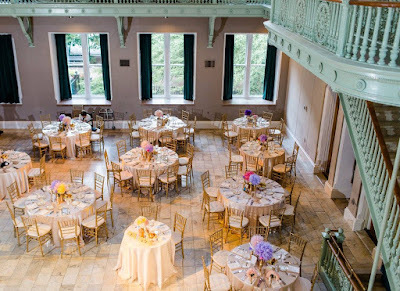 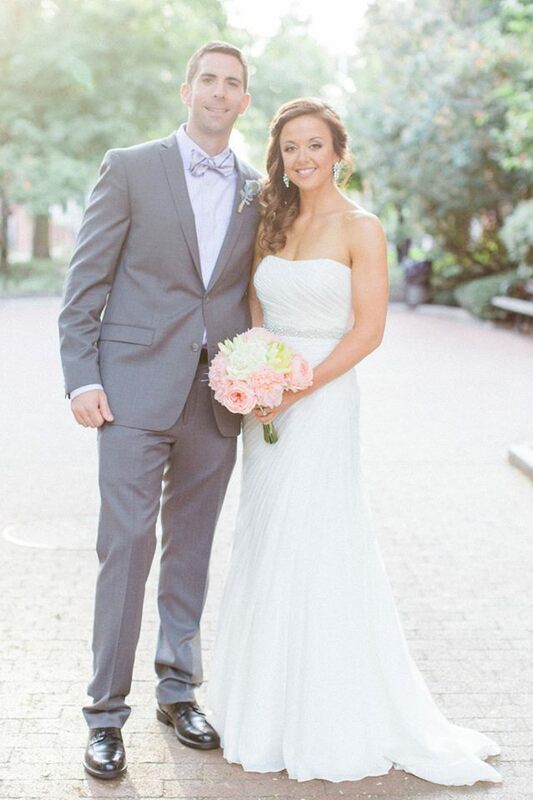 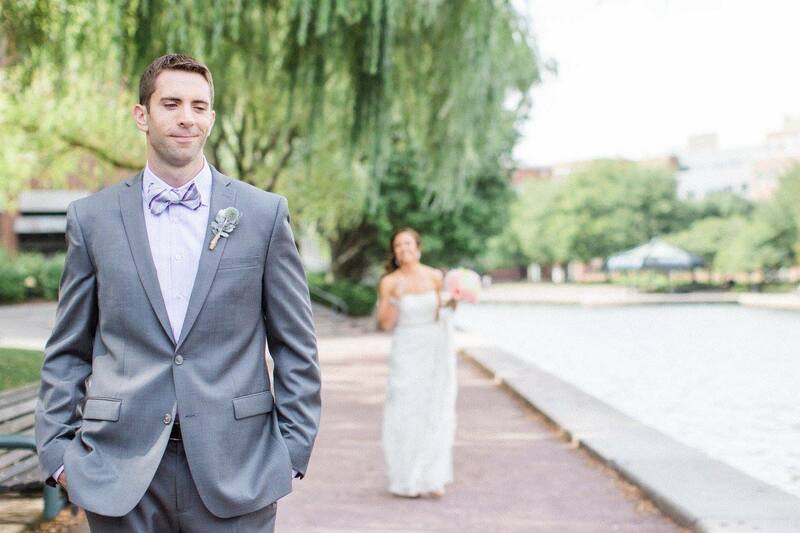 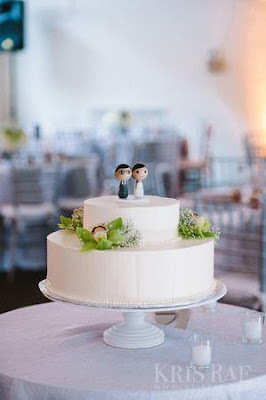 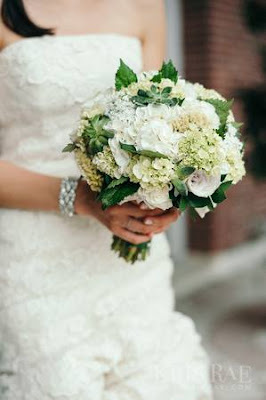 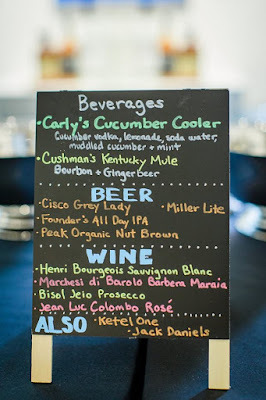 Carly and Bob's wedding at the Multicultural Arts Center this past September was absolutely beautiful. 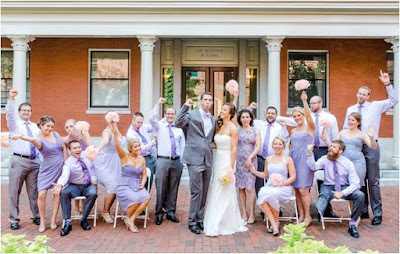 The wedding ceremony was taken place outdoors by the courtyard followed by cocktail hour and reception inside the theater. 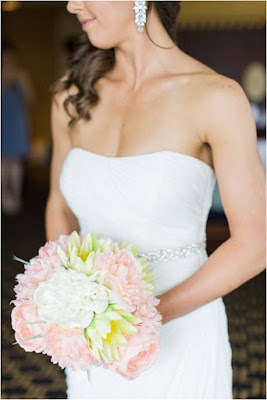 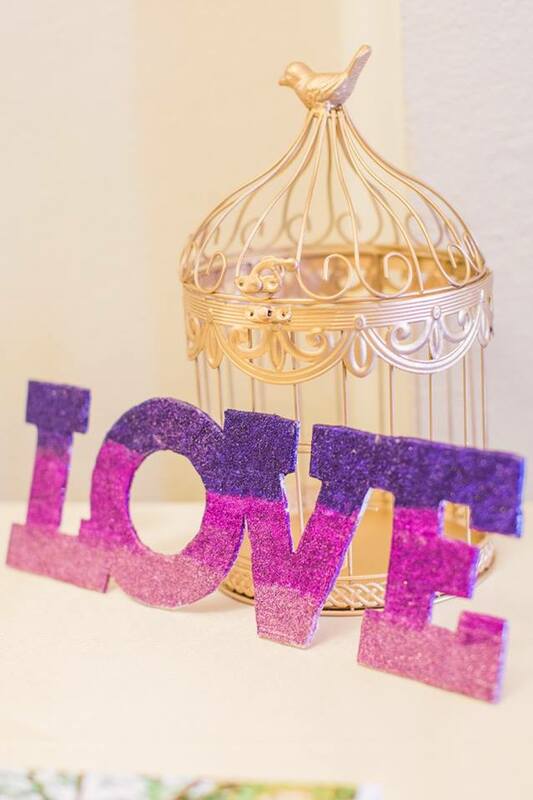 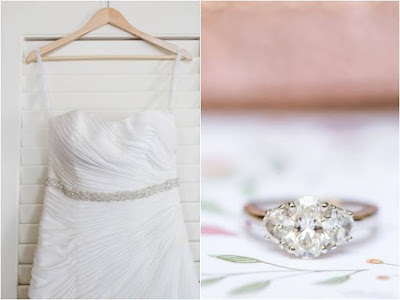 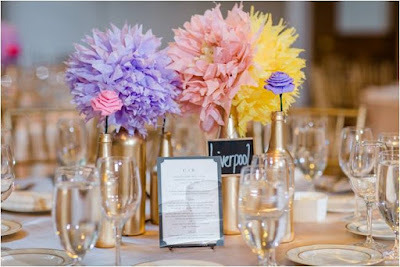 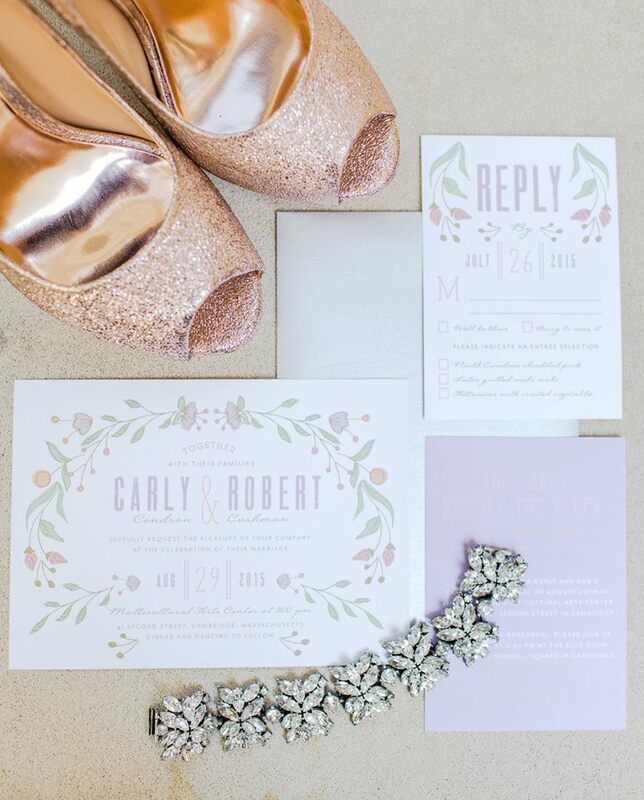 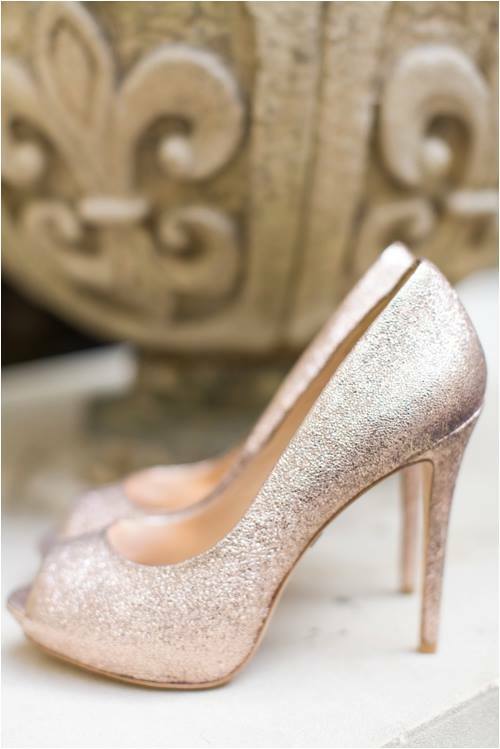 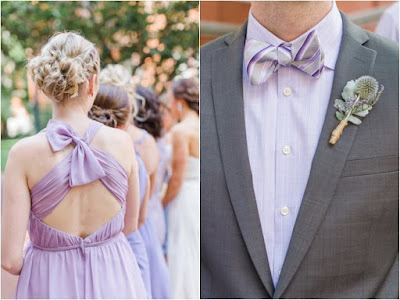 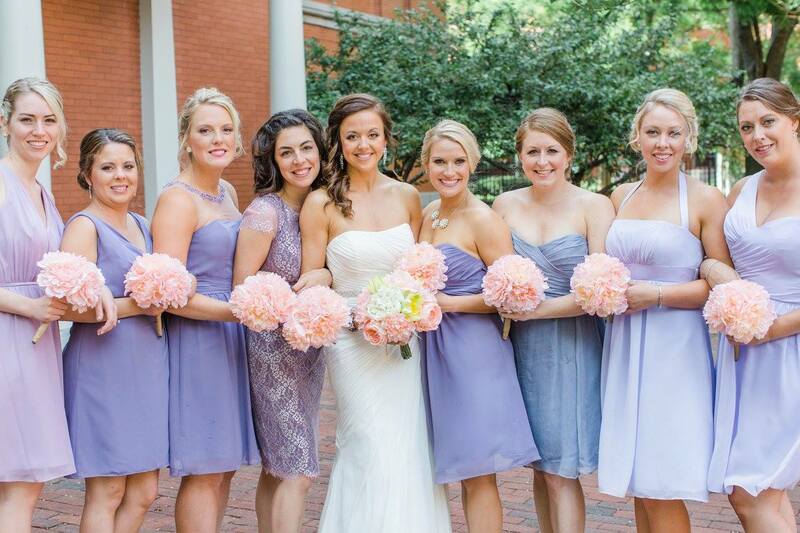 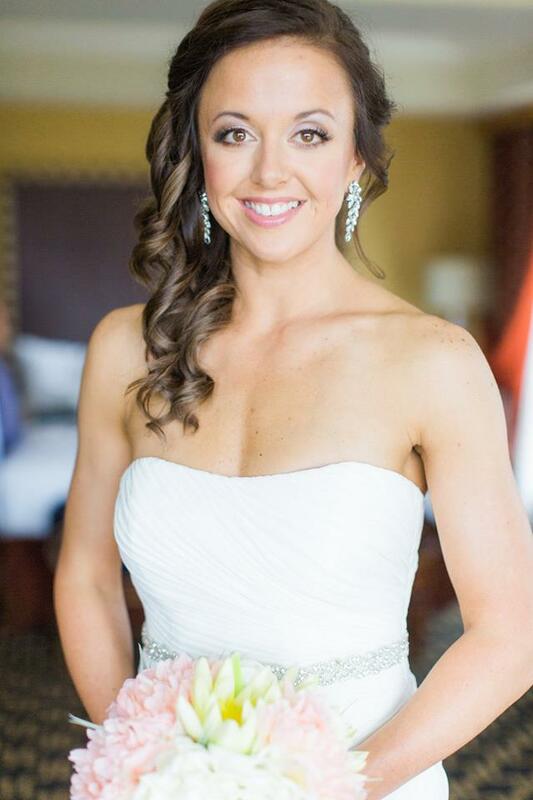 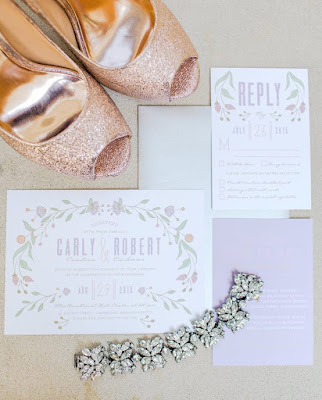 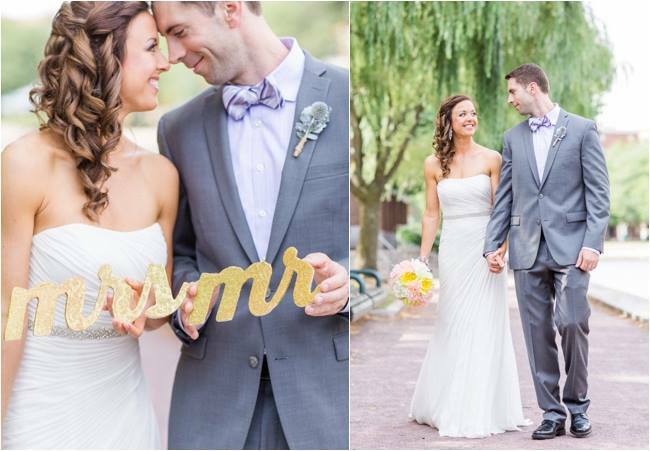 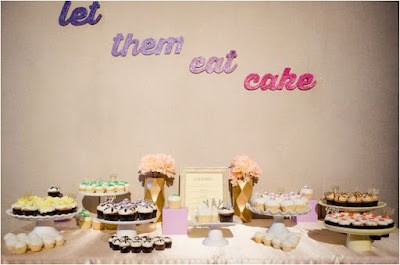 The wedding colors Carly chose were shades of lavender, gold and pink and they all worked gorgeously together. The table numbers were replaced with names of places that C&B have traveled to such as Santorini, London and Athens. 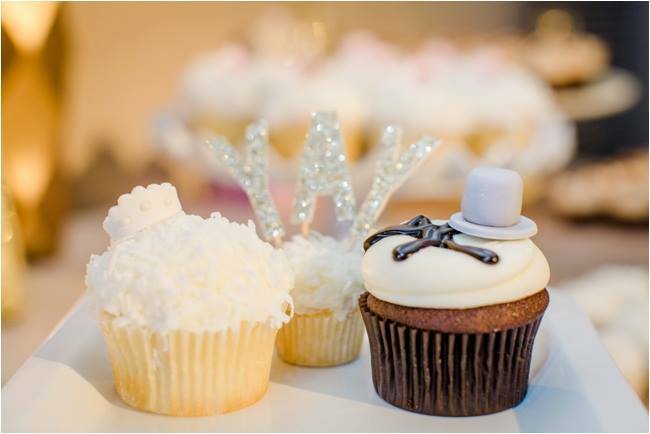 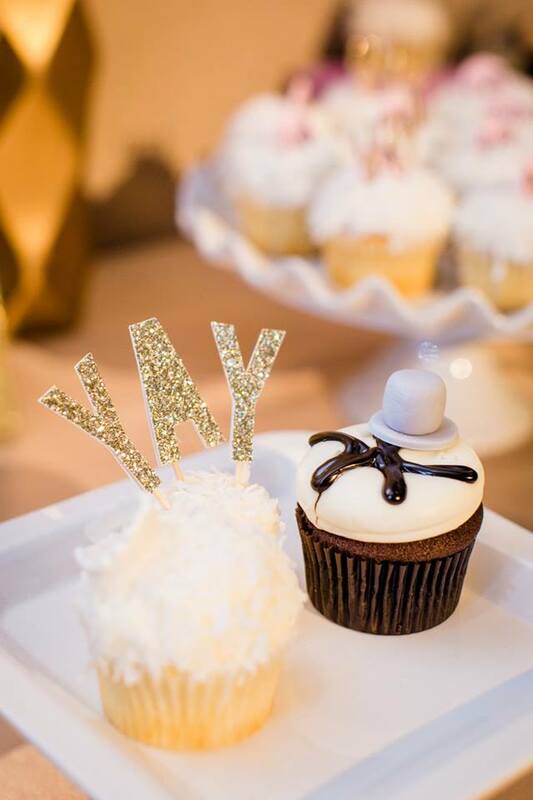 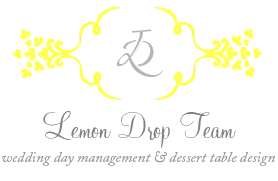 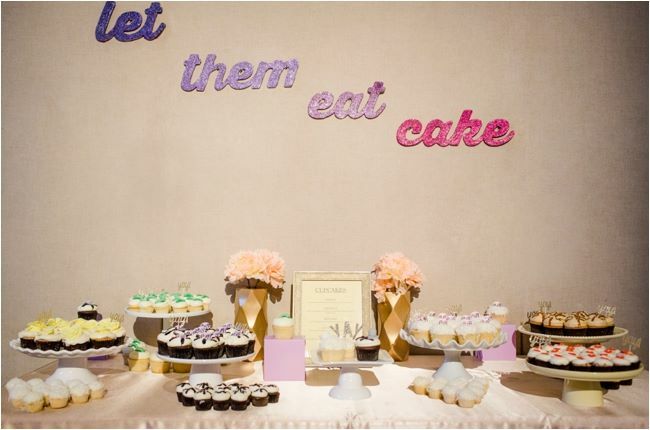 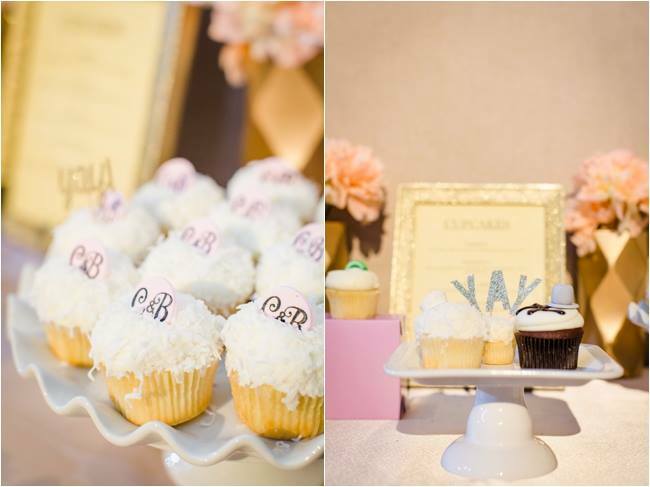 One of my favorite details of the night was the cupcake dessert station catered by Georgetown Cupcakes on Newbury Street and coordinated by our very own, Alecia of Lemon Drop Team. 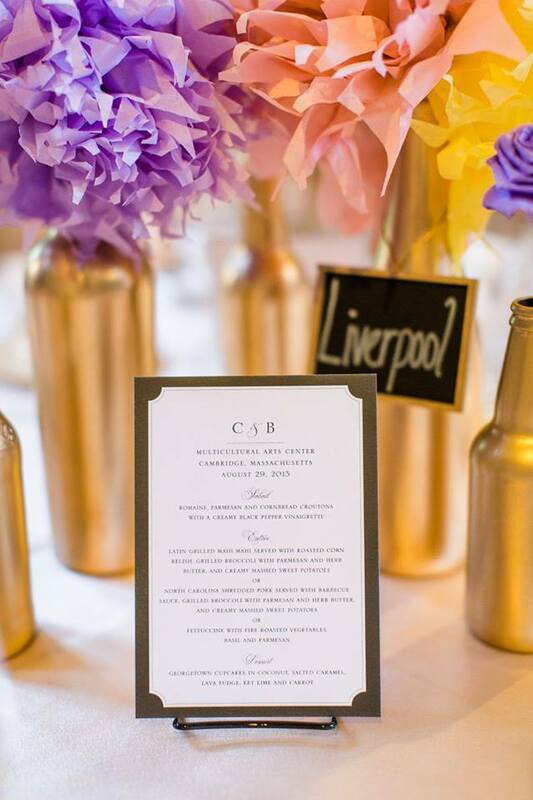 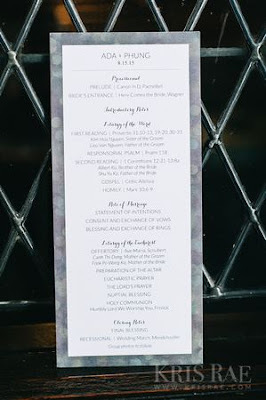 Big thanks to our friend Deborah of Deborah Zoe Photography for sharing these beautiful pictures from Carly and Bob's wedding! 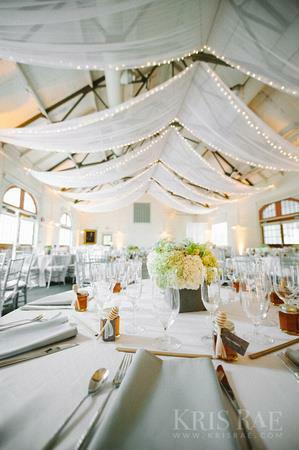 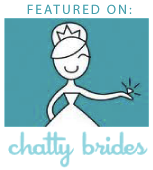 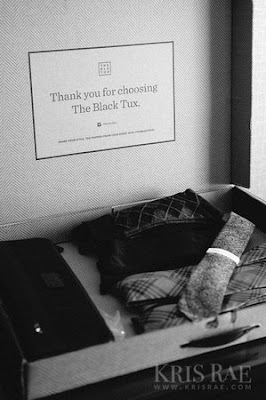 Linens : Be Our Guest, Inc.